Apart from being Easter Sunday and April Fool’s Day today, it turns out it’s also Fox Day. 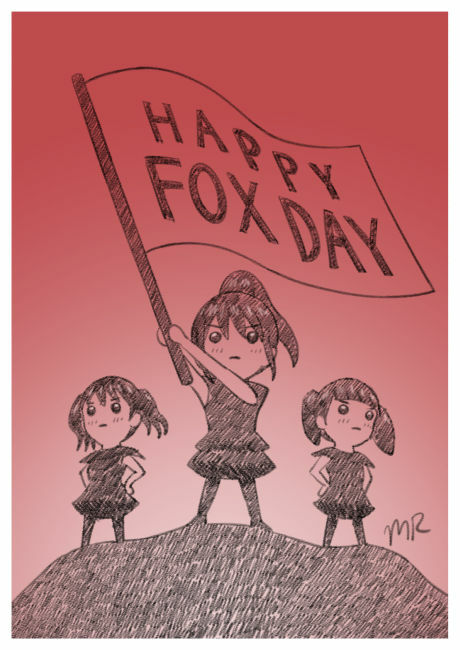 If you are unaware, on this day in 2016, BABYMETAL‘s second studio album, Metal Resistance, was released and the idea of Fox Day was used to promote it. So to all the BABYMETAL fans out there, have a good day! This entry was posted in 10s, Japanese Music, News and tagged BABYMETAL, Fox Day by maruserino. Bookmark the permalink.